Youth for Christ Mpumalanga are launching an exciting new program for 2012. We will be sending teams into the schools who will be doing drama, dance, song, mime etc to communicate different messages to the youth through visual interpretation on issues that affect them. Helping them to cope and giving them practical answers. We are looking for GAP year students to volunteer for this program for one year. They will have to go to our training centre in Magaliesburg and will need R3000.00 for this. 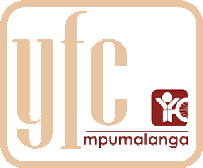 If you are interested to give a year to ministry with young people please fill in the application forms and email to: admin@yfcmpu.co.za or hand them into our office at 46 Anderson street, Nelspruit before the end of November 2011. All applications need to be submitted early to avoid disappointment.